Shamrock tie measures 3 3/4" wide x 56" long. 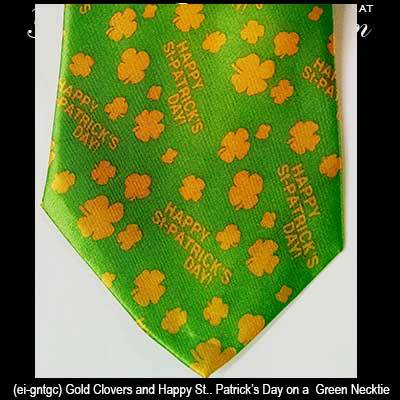 This lucky Irish tie has a design that includes gold four leaf clovers along with a message of Happy St. Patrick's Day! The green Irish tie is made of lightweight polyester.